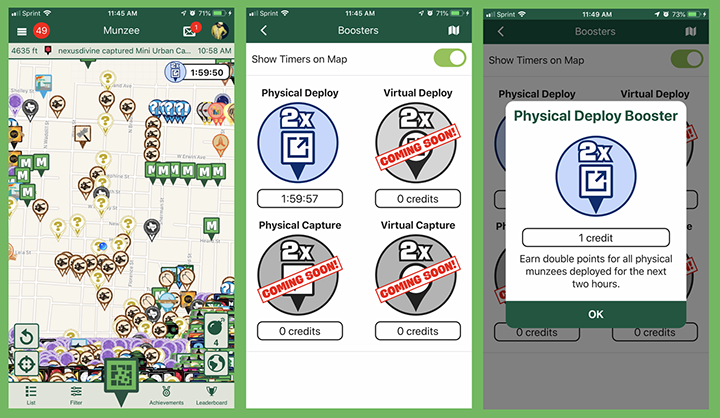 A new Munzee app update has just been released, featuring new capabilities for Booster Credits and QRew! This over the air update is now live, so check it out! 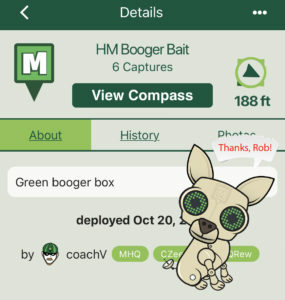 Since our Urban Fit Munzee launched three weeks ago, players have been earning special Physical Deploy Booster Credits each time they cap/deploy 15 Urban Fit Munzees within a MHQ 24-hour day. 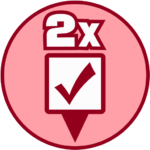 While these credits have been available to be earned, they have not been able to be used. Today we are happy to announce the much-anticipated Booster Credit update that enables players to put their hard-earned credits to use! That’s right, you are able to become Positively Charged at a time of your own choosing! To learn how to use the Booster Credit, we put together the helpful video below. For all information about Munzee Booster Credits, you can also check out our Booster Credit Help Guide article. To activate a Booster Credit, first go to your player profile. 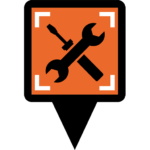 You will find your available Booster Credits under the “Inventory” tab. Click on the Booster Credit you would like to use. Whenever you’re ready, click the “Activate” button to start. We understand how valuable map space is, so if you’d prefer to hide the Booster timer you can do so on the Booster Credit page. 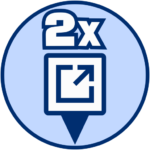 To hide the timer, simply click on the icon to go back to the Booster Credit page, and toggle the switch to remove the timer from the map. Keep in mind that you can always show the timer again by going back to the Booster Credits page through the Inventory section in the Profile. The page will also show you how many credits you have in stock. As a reminder, the Physical Deploy Booster Credit allows you to become “positively charged” and receive double points on all physical deploys for the next 120 minutes. That includes ALL types of physical munzees, PLUS you get to choose when to activate the Physical Deploy Booster! 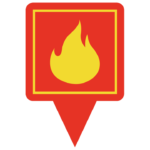 This special feature will allow you to time the perfect deploy streak to really multiply your points. AND…as of right now, Hadavale captures will give a booster credit instead of instantly making your account become positively charged! There’s nothing like a double points opportunity to kickstart a happy weekend! You also might notice that some new types of Booster Credits are coming soon… so keep patient! The latest update also gives players who have earned the QRew title the ability to replace munzees. To avoid confusion, QRew titles have been updated for clarity. 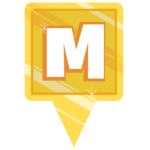 A mini-map has also been added to the compass screen, which only displays the munzee you currently have selected. We hope all of these updates are met with player satisfaction! We are constantly working on advancing the game to make it as fun and up to date as possible. Stay tuned for more updates and announcements! There are lots of exciting projects on the horizon that we can’t wait to share! Welcome to Munzee! Munzee is a complex game, and to make it easier for both new and old players, we have been sharing tips every week on social media with the help of player suggestions. Whether this is your first day or fourth year playing, it’s always helpful to connect with other players in order to hone your hunting skills. If you’re in need of some helpful hints, we have compiled together our social media tips that we have been sharing weekly. 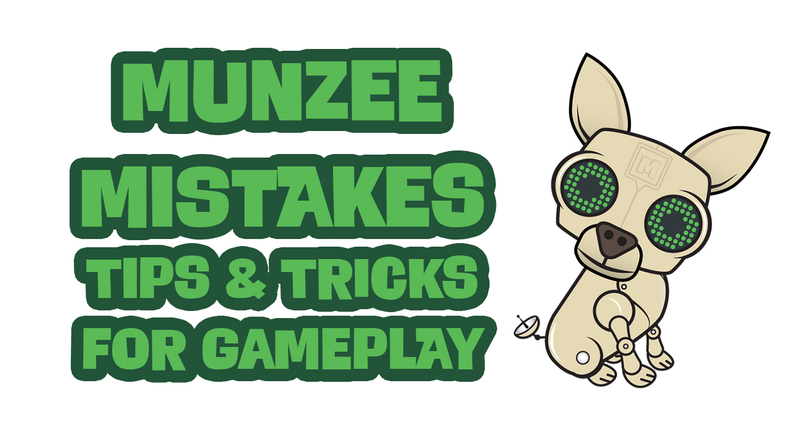 Consider these tips while playing to avoid the most common Munzee mistakes! If you follow us on Facebook, Twitter, or Instagram, these tips might look familiar. 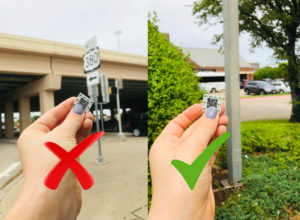 Tip #1: Use your filters! 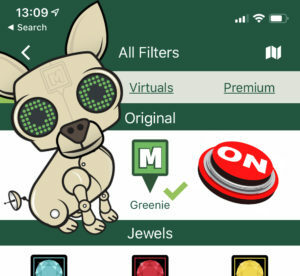 Make it easier to find specific munzee types by turning different filters off and on! Don’t forget that you can unlock even more filters with a Premium Membership. Tip #2: Read the notes on munzees. Look under “details” to discover helpful hints that offer tips on where to look. When deploying a munzee at a location that is not obvious, be sure to add descriptive notes. They are always appreciated by players! Do you have any tips to share? E-mail us at iloveyou@munzee.com! You can also check out our past blogs about 25 master tips, 20 capping tips, 20 deploy tips, and 10 tips for new players. For more tips, be sure to check the blog daily for updates! A big thanks to all who shared tips, and if you’re a new player, welcome to the Munzee family! 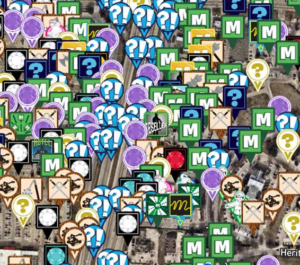 As you can see, this is an interactive community in which players help each other master the art of Munzee. We’ve also been updating the Munzee Help Manual, which will feature all of these tips and tricks as well as a comprehensive breakdown of many aspects of gameplay. The Munzee community has banded together to bring us 20 capping tips, 20 deploy tips, and last week’s 10 tips for new players. To continue our journey of making Munzee more accessible for our many new players, this week we’ve compiled a comprehensive list of general tips and tricks sent in by some of Munzee’s dedicated players! Are you a brand new player? Are you a dedicated player browsing the list to learn some new wisdom? 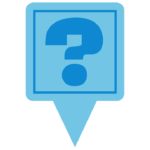 (Are you an absolute expert seeing if your tip is featured? 😉) No matter your level of gameplay, there is always something new you can learn since we’re always mixing things up to introduce new adventures, excitement, and specials to everyone’s favorite real world scavenger hunt! As always, feel free to share these posts with new referrals! (And don’t forget to share your referral code!) If this is your first time reading a blog post, welcome to Munzee! There is much to learn, but so many players who are happy to help! Lastly, a big thank you to all in the Munzee community who shared their tips! All activity on Fire Mystery Munzees, Ice Mystery Munzees, and their scatters (Fire Munzees and Frozen Greenies) will be worth DOUBLE POINTS on April 14, April 21, April 28, May 5, May 12, and May 19 from 00:01 to 23:59 MHQ time! That’s double points on all activity on Fire and Ice! Be sure to pick up some Fire Mysteries, Ice Mysteries, or the Elemental Munzee Block from the Freeze Tag Online Store, because all three of these items will be 48 percent off starting today at 15:00 MHQ time and lasting until Monday at 10:00 MHQ time! And that’s not all of the good news! We are also launching our new Ice and Fire Munzee Personal tag today at 15:00 MHQ time in the Freeze Tag Online Store as well! 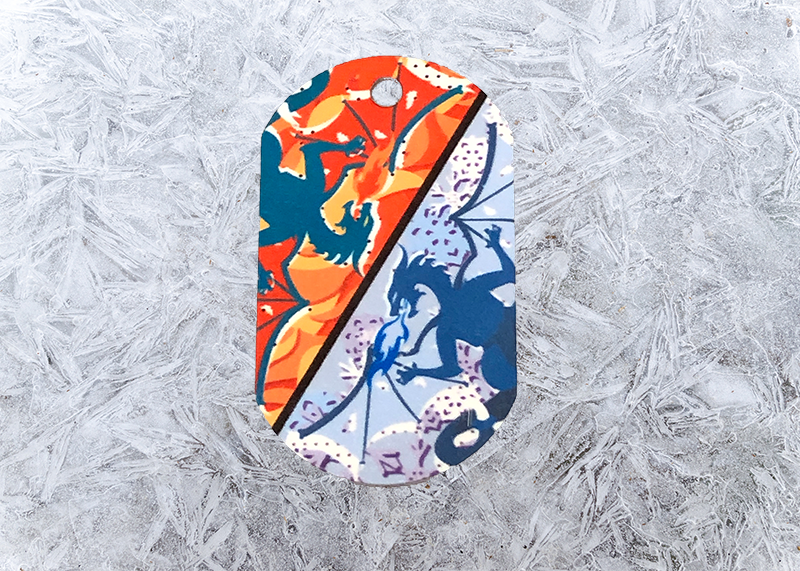 This metal tag features our very own dragons and if this doesn’t get you feeling ready for battle, we don’t know what will! Be sure celebrate the final season with enough points on the leaderboard to feel like royalty! 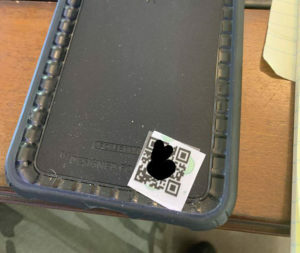 Will you win the QR Throne? Dragon and Yeti Variants Make for a Spooky Addition! 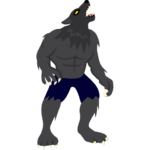 Halloween may be months away, but a number of gruesome creatures are ready to growl their way into the game. 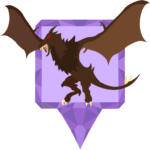 Starting at 15:00 MHQ time today, you will be able to upgrade both the Dragon and Yeti Mythological Munzees into four new Mythological Munzee Variants! 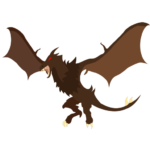 Much like AlternaMyths, the Mythological Munzee Variants are twists on the original Myth types that allow them to bounce to other types of munzees. These variants are only available to Myths that have been “Upgraded.” Currently we have released variants for the Unicorn, Fairy, Leprechaun, and Mermaid Myths. 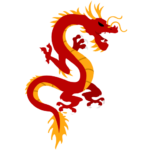 Both the Dragon and the Yeti will have two variants, with the opportunity to select which variant you want through Upgrading your Myth. Once your Myth is upgraded with the Bouncer Upgrade Credit, you can convert it to a new type similar to how you would convert any other type of munzee. Remember that you can only convert a Myth Variant once, and after a Myth has been changed, it cannot go back. Previously known as the Myth Upgrade, the Bouncer Upgrade Credit also allows for the opportunity to “nudge” your Myth to a new munzee up to three times a day in the MHQ 24-hour day after it has sat for three hours. Plus it gives you the opportunity to rename your Myth to something personal and creative! Points for Variant Myths will remain the same. 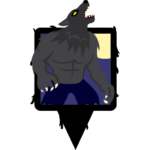 Variant Myths will also continue counting toward their specific Myth badges just like normal. The only thing that changes with an Upgrade is what it bounces to, as well as a new capture icon in the Specials list. Stay tuned for more information on upcoming Myth Variants! 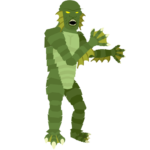 You never know what ghoulish and exotic creatures we have in store for you! In the meantime, we’re excited to see all the new variants hit the map! Remember that the amount of each new variant that are deployed is entirely up to the player community. Stay connected on Facebook, Instagram, and Twitter to chat with fellow players and make sure even amounts are being converted! 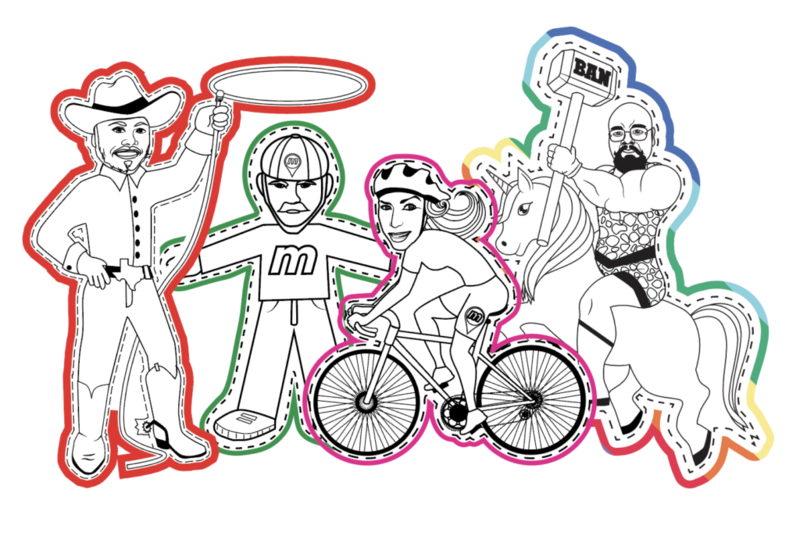 What Mythological Munzee Variants would you like to see next?! 🤔 Let us know on social media! Happy hunting and Munzee on! 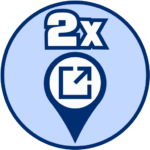 Version 4.0 of everyone’s favorite real world scavenger hunt brought many positive changes, but one aspect of the game that still needed touching up was the maps. Today we’re happy to announce that the maps have indeed been updated, thanks largely to our switch to Apple Maps! 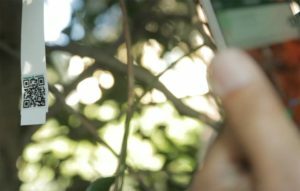 Using Apple Maps will allow more up to date satellite imagery in order to portray the surroundings as accurately and detailed as possible for both Android and iOS devices. 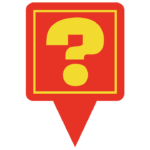 Please note that although we have changed providers to Apple Maps, this new map system is available on both Android and iOS devices. 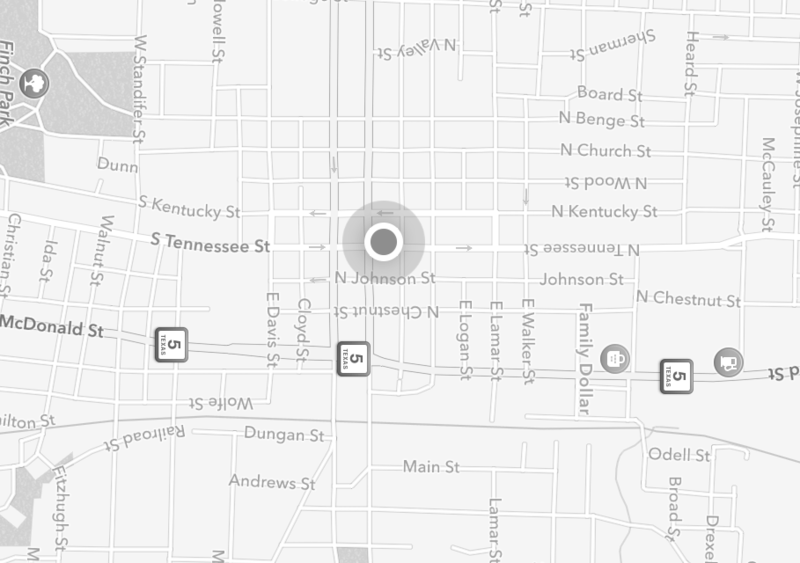 We are excited to bring you a faster, more responsive, and improved map! Hopefully this will enhance the experience for those of you who play in satellite mode. These updated maps were chosen for a variety of reasons, most importantly that they are as accurate and fast compared to the map system used in V3. This allows us to maintain the fast loading speed of the pins in the game with limited development costs. The new map also offers much more up to date satellite images, which is something the players have requested since V4’s launch. We’re hoping that this change will make the gaming experience more enjoyable for all players, no matter where you live! 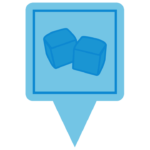 Additionally the new over-the-air update has changed the deploy location to now be set when scanning a code or tapping “deploy,” not when reaching the “edit location” screen. Does this update get you excited? Stay tuned for more updates down the line! And be sure to connect with us on Facebook, Instagram, and Twitter to always stay in the loop! Happy Hunting, and Munzee On! 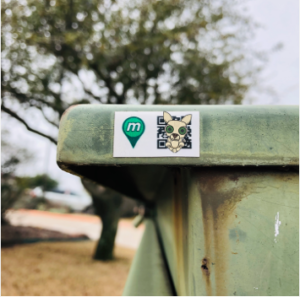 For the last few weeks, we have been sharing Munzee Tips to help ease new player transitions into everyone’s favorite real world scavenger hunt. 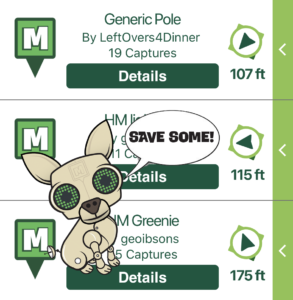 After sharing 20 tips for both deploying and capping munzees, this week we’re keeping things simple with a short and sweet list of advice that long-time Munzee players wish to offer to the newbies. Feel free to share these posts with new referrals (and don’t forget to share your referral code)! 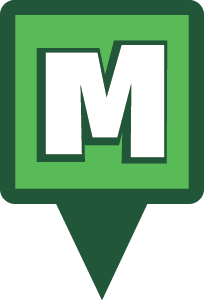 If you are new to the game and checking out our blog for the first time, welcome to Munzee! Things may seem confusing at first, but there are always plenty of players who are ready to help! Don’t forget to follow us on Facebook, Twitter, and Instagram to stay up to date with the latest tips and gameplay updates. We’re also beginning to dust off the Munzee Help Manual, where you can find these Tips and Tricks. To share your Munzee Tip, connect with us on social media or e-mail iloveyou@munzee.com. As always, a big thank you to all players who shared their tips! *Munzee Water Cooler is a player-run fan group not affiliated with Freeze Tag. Blast From The Past Concludes with 00s Tags! All good things must come to an end, and alas, we are concluding our Blast From The Past personal tags collection with the new millennium. 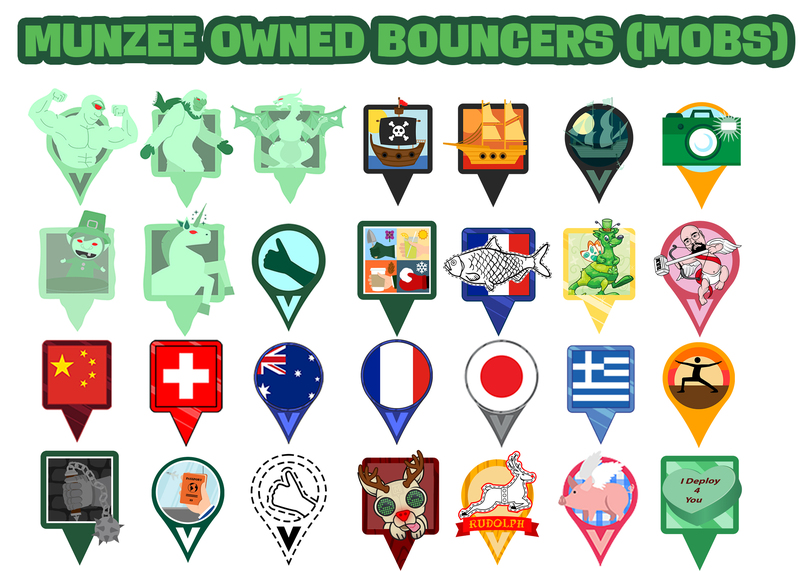 The 50s, 60s, 70s, 80s, and 90s Munzee Personal tags have all enjoyed their stay in the Freeze Tag Online Store, and they have cleared out to welcome the 00s tags today at 15:00 MHQ time! Can you believe that 2000 was already nineteen years ago?! Time really flies. You will have until April 10 at 15:00 MHQ time to pick up your 00s tag, which will end this nostalgic personal tags series with this off the chain conclusion. Remember to add your FREE Blast Capture to the cart with any Blast From The Past personal tag purchase. In order to get the FREE Blast Cap, you’ll need to add both the Blast From The Past personal tag of your choice and a Blast Capture to your cart. No discount code is needed, but the discount will NOT be automatically added until both items are added to the cart. If you plan on buying more than one Blast From The Past tag and want more free Blast Caps, you will need add more to your cart for each tag purchase. Please note that this promo is only applicable to the Blast From The Past tags. 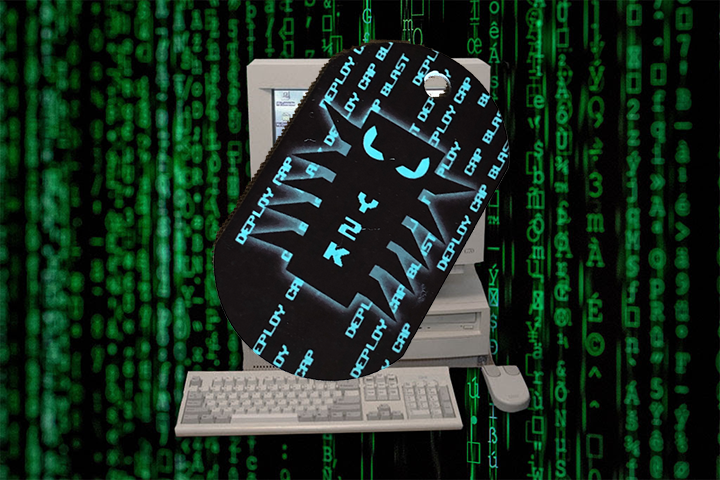 Like all of our personal tags, the 90s tag is made with sublimated images on metal to ensure for durability. (They can even survive the Y2K bug!) Let’s journey back to a simpler time when the pink Razr flip phone was the coolest phone on the market and everyone was chatting on AIM. Baby G watches were the dopest accessory to have, and we were all singing to Destiny’s Child. And of course, Myspace was all the rage! The 00s may not have had Munzee, but they were on the cusp of gaming greatness! Be sure to pick up this wicked cool tag, and Munzee on! Happy April Fools’ Day, or as the folks in France say, Poisson d’Avril! If you don’t have a flat fish to stick on someone’s back, don’t worry, because MHQ has got you covered with a Flat Fish special of your own! Quel bon chance! 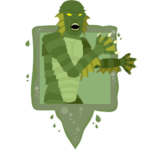 Physical Flat Fish Munzee seasonal specials will be foolishly flopping around the map today at 11:11 MHQ time, so in a rare turn of events, you might want to make a wish that you end up an April Fools’ fish! Fortunately, if you don’t have a foolish first today you still have until 11:11 MHQ time on April 11 to enjoy this fishy special. That Daniel Fischer surprised us with a whopping 401 fish flopping their way onto the map. However, much like a fish out of water, this special might just flop around when it comes to numbers deployed. Quel bordel! These Munzee Owned Bouncers (MOBs) will remain in place for four hours or when capped, whichever comes first, so you’re going to have to be a clever fisherman or woman to reel them in. 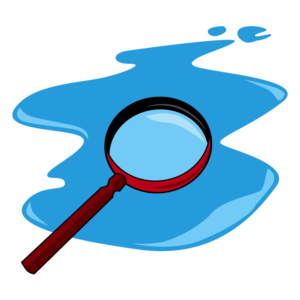 These one-dimensional aquatic animals will be drawn to Greenies, Scatter Munzees, the new Urban Fit Munzees, and all five physical Mystery Munzee types (Regular, Ice, Water, Earth, and Fire). These flopping, flapping flat fish WILL be attracted to magnets, which you can pick up from the Freeze Tag Online Store. Fish swim in schools after all, and it looks like our Flat Fish brought along a Red Herring for company. Mon dieu! Beacoup des poissons! This Virtual MOB will also remain in place for 4 hours or when capped, whichever comes first. There will be 0104 Red Herrings on the map to shake things up. 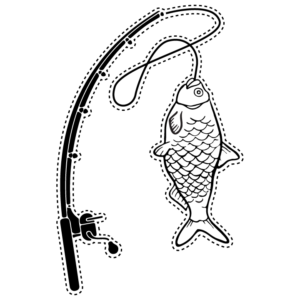 These fishy fellows will be attracted to all color virtuals, as well as crossbows, because what better way to catch a fish than with a crossbow? C’est un blague!… je pense. Comme les autres poissons, the Red Herring WILL be attracted to magnets. The capture radius will be 300 feet, but these virtuals are NOT blastable. (Don’t cry, because fish can’t!!!) They will also be on the map from April 1 at 11:11 MHQ time until April 11 at 11:11 MHQ time unless Daniel Fischer feels like mixing things up. We hope you have a foolishly fun time with this France-inspired April Fools’ Day. 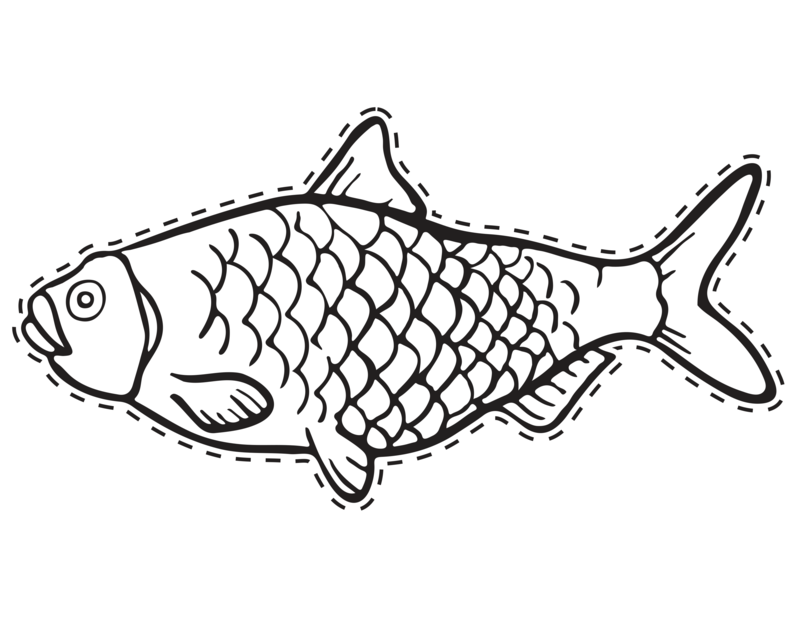 If you’d like to participate in Poisson d’Avril, we even have a Flat Fish PDF you can download, print out, and stick on your friends’ backs! What are friends for? 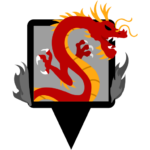 You can also find a .PNG version below if you have trouble with the PDF. Bon Poisson d’Avril, and Munzee on!